84.7% natural content. For dry - damaged hair. Dermatologically tested. Suitable for vegetarians.Formula Free of Mineral Oil, Petrolatum/Paraffin Wax, Silicones, Parabens, Propylene Glycol, Ethanolamines, ALES, Synthetic dye, Phthalates, Polycyclic Musks, Alcohol, Retinol, Animal by-products. 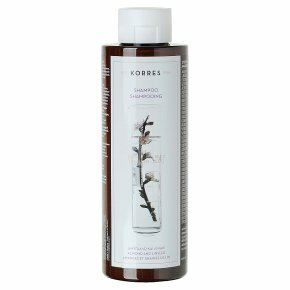 Shampoo that nourishes dry - damaged hair, preventing breakage and split ends.